The top rate on capital gains today is up to 20%, the “net investment income tax” is 3.8%, and state taxes can eat up 3.4% more. That means that the IRS and the California Franchise Tax Board combined can confiscate nearly one third or more of your hard-earned gain when you sell your asset! Can you avoid your tax bill? Charitable trusts avoid tax on your gain, but they require you giving away the principal or the income from the sale proceeds. Section 1031 exchanges defer tax on real estate gains, but only for investment property, not for the sale of your personal residence. Are there any alternatives that don’t force you to give away your legacy or reinvest in an asset that you may no longer want? Yes! 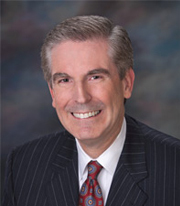 Robert C Duncan, JD, CPA, CGMA, MBA, MIM and founder of Duncan Law | Duncan Tax, has more than 40 years specialized in solving capital gains and other tax problems when real estate, a business, or other capital asset are sold. He will be sharing the options available in tax law by which you can solve the tax problem when you sell your asset and receive much more at the close of escrow than you might think possible. In fact, one planning approach he will discuss allows the seller to walk away from escrow closing with NO immediate capital gains taxes due and receive a lump sum amount of money that is nearly equivalent to the sale proceeds tax-free. This is supported by the IRS and is applicable for selling real estate, including the sale of highly-valued personal residences, a business, antiques, artwork, and other capital assets. Complete form below to be contacted today!